Alexis Sanchez has joined Arsenal from Barcelona for a fee in the region of 42 million euros in 2014. The 28 year-old has a valid contract with Arsenal until June 2018. Since his arrival from Barcelona, Alexis Sanchez has scored 59 goals and provided 39 assists in 124 games for the Gunners, including 17 goals and provided 16 assists in 31 games in all competitions this season. The 28-year-old is considered to be one of the best players in the Premier League. Alexis Sanchez has represented Chile at Under-20 level, winning 4 caps and scoring one goals, before making his senior international debut in April 2006. He won 106 caps and scored 36 goals for Chile national team. The Chile international is a player who has impressed many European Clubs in the last few seasons, and it is understood that Atletico Madrid manager Diego Simeone would prefer playing him as a forward. He would be perfect replacement for Antoine Griezmann, who is expected to sign for Manchester United in the summer transfer window. Euro Football Rumours understood that Arsenal will cash in on one of their best players if they could not reach agreement for a new contract with the Chile international. 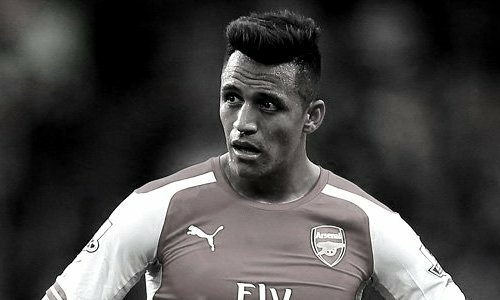 La Liga giant Barcelona are apparently trailing Atletico Madrid in the pursuit of Arsenal forward Alexis Sanchez.